Last week when I posted my Mayflower quilt, I mentioned I created it as the base for a new set of tutorials I wrote for BERNINA's We All Sew blog. 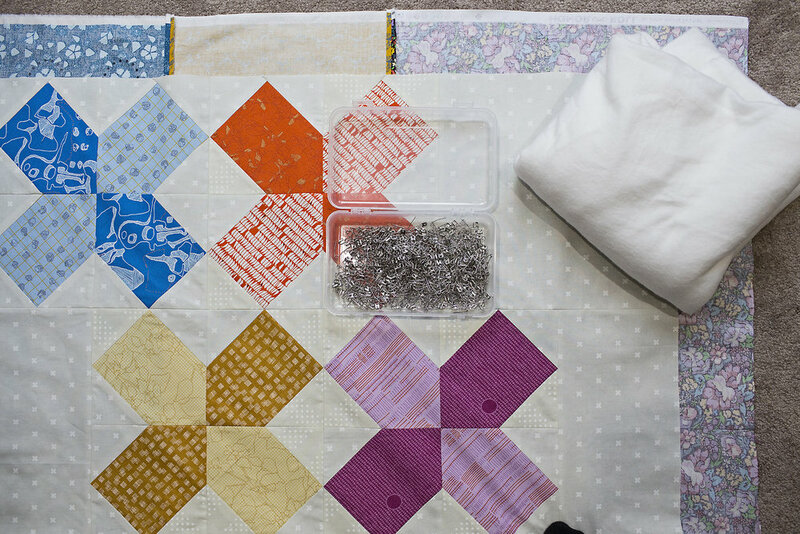 Today I'm happy to share the first with you, How to Pin Baste a Quilt. If I'm being totally honest, I'm always a bit nervous to post technique tutorials. There are probably as many ways to baste as quilters, but I hope you enjoy seeing what works best for me. If you are new to quilting, it's a great way to start down your journey. If you are an experienced quilter, you may see something new to try!